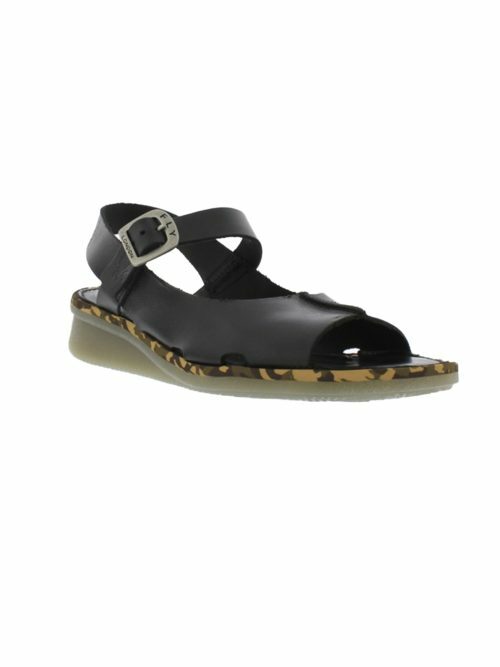 Lush summer Yail sandal also comes in black. 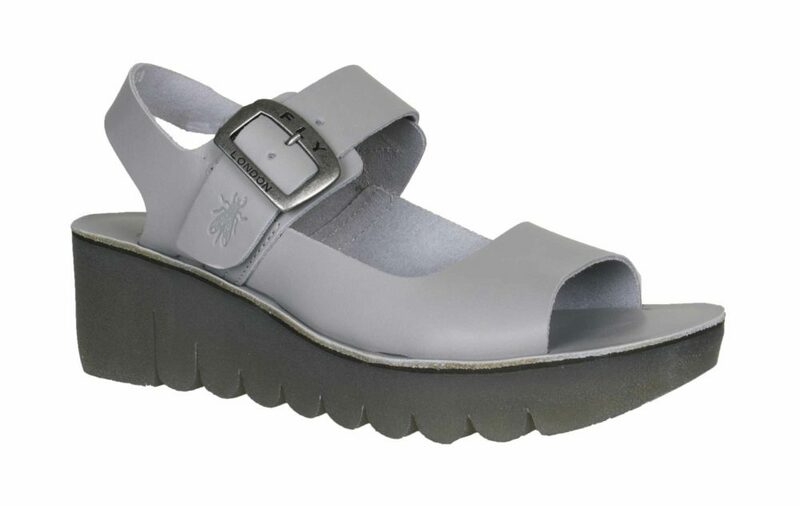 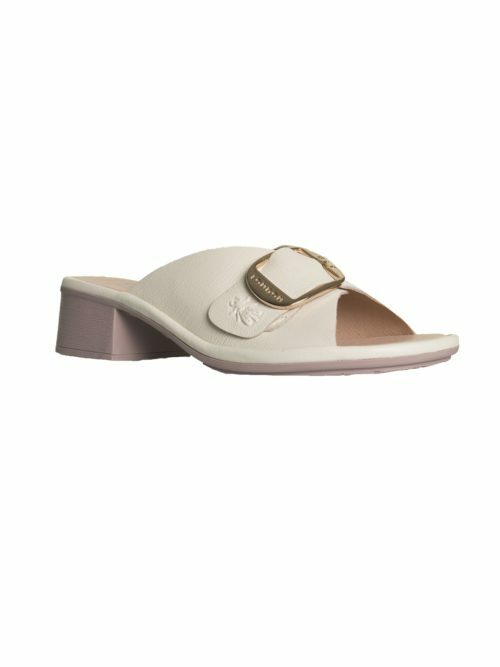 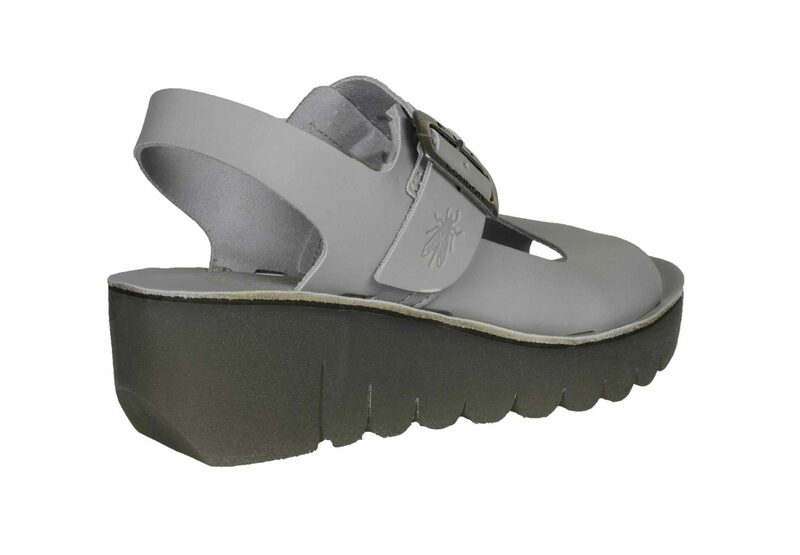 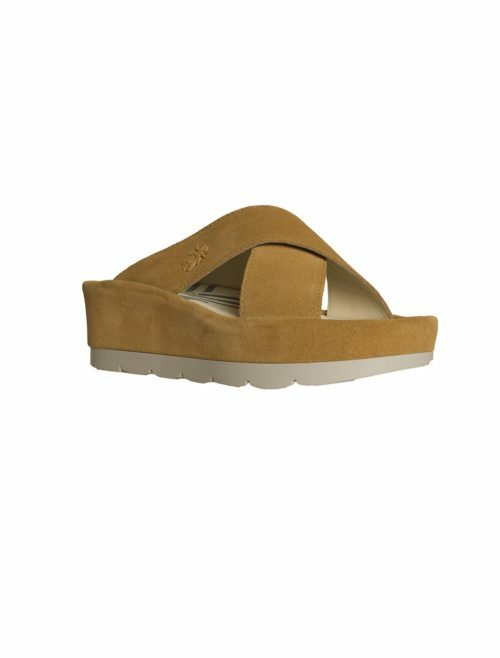 This is a really comfortable and useful sandal from the new fly london collection. 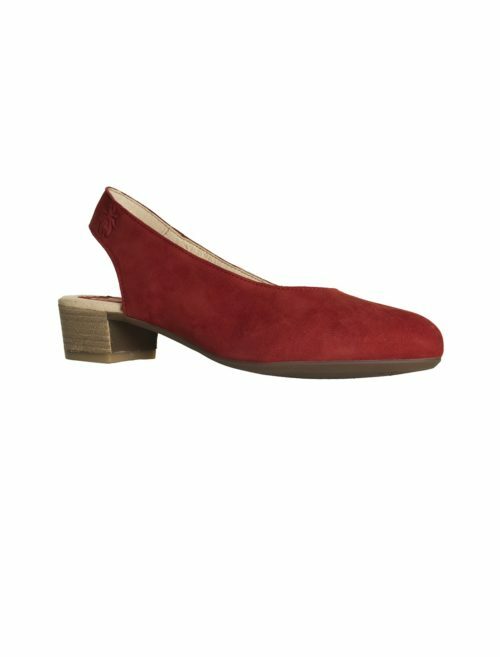 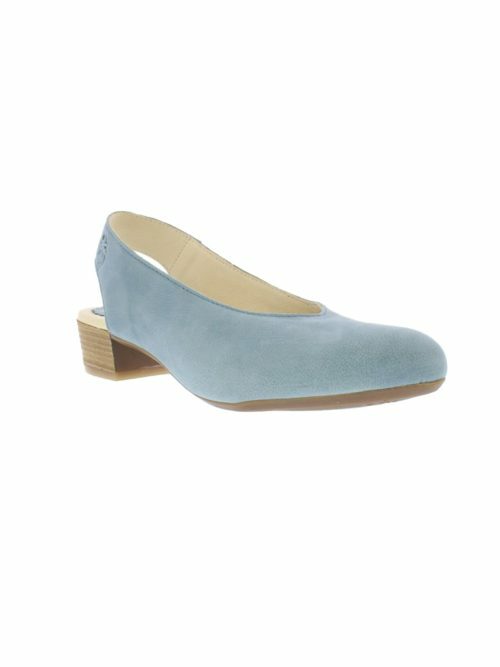 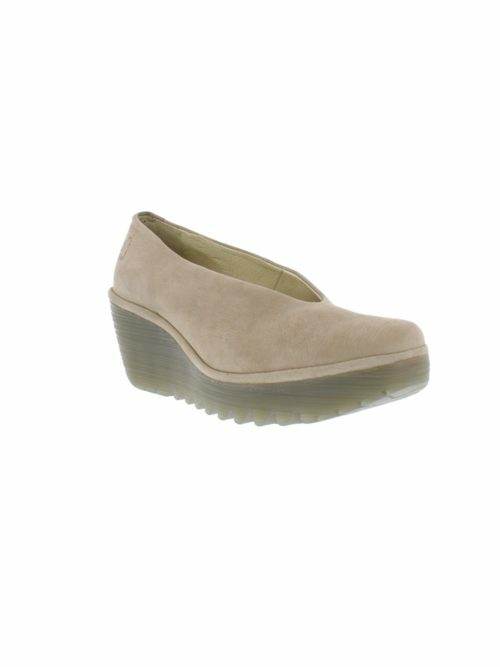 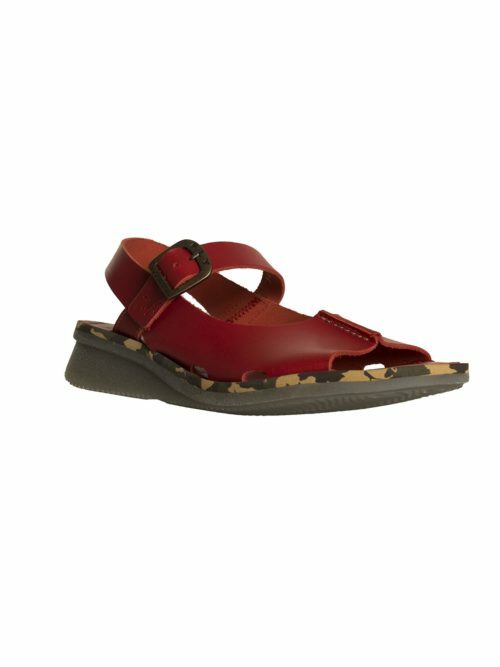 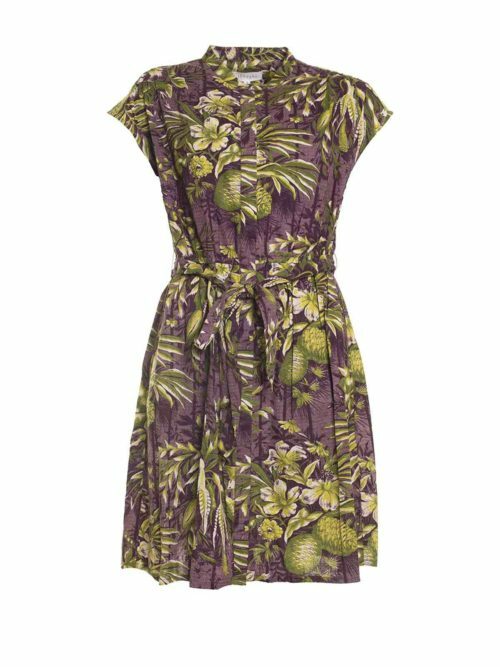 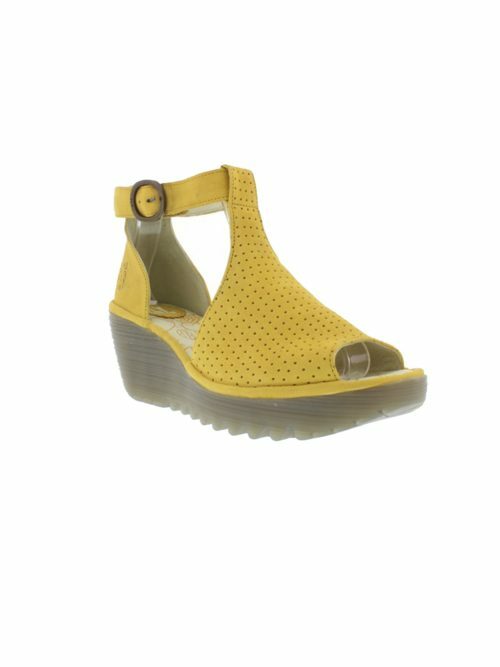 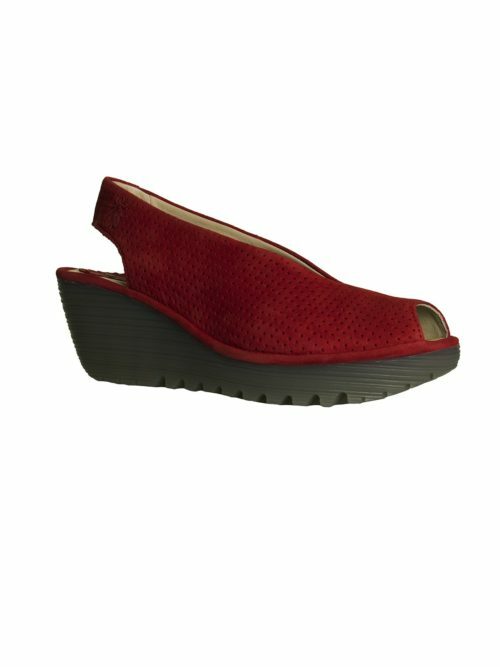 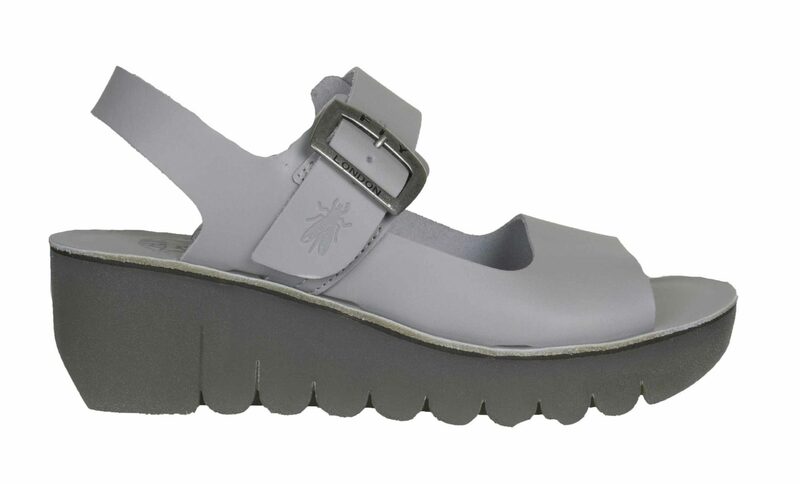 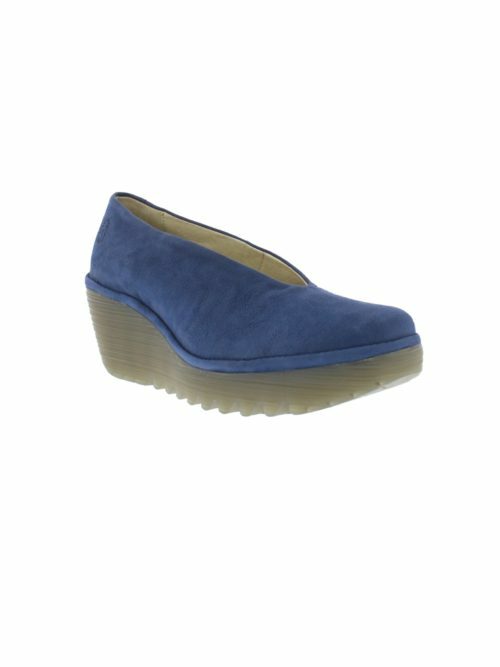 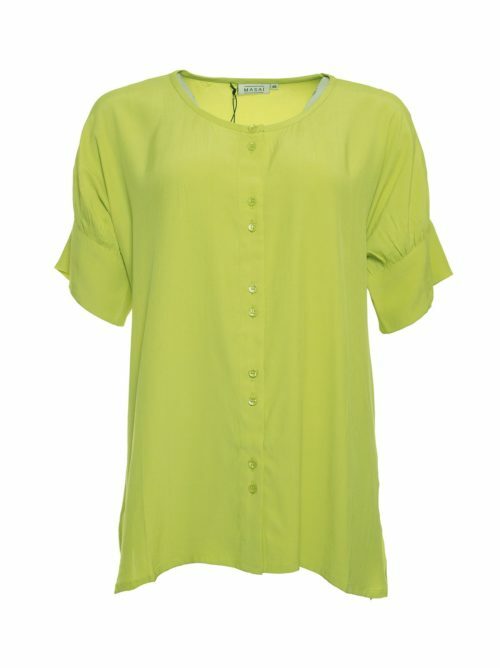 With two straps over the top and a heel strap and buckle fastening your foot will feel well held and supported making it an ideal easy to wear summer shoe. 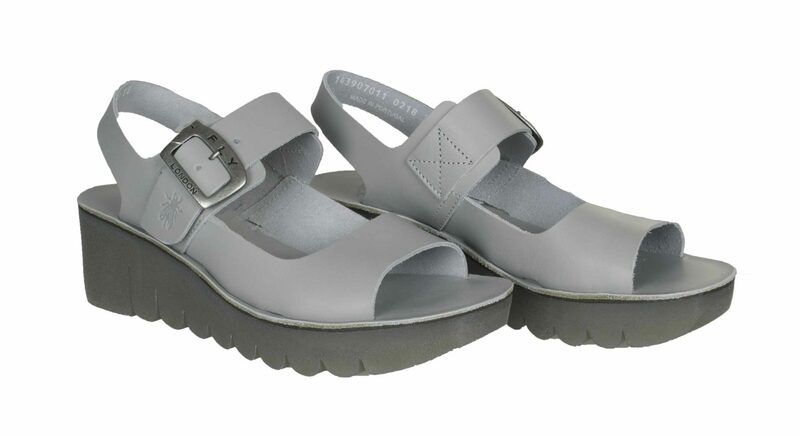 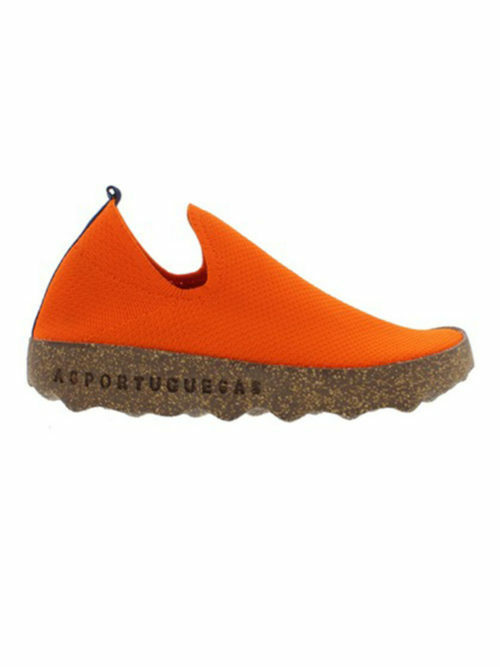 The grey wedge sole has a scalloped edge detail to it giving an extra detail to an otherwise simple sandal.